FORWARD Ep. 26 Best Hope: Community Ties | jibtv.com | Japan International Broadcasting Inc.
Nagahora village is a small fishing village in Iwate Prefecture. 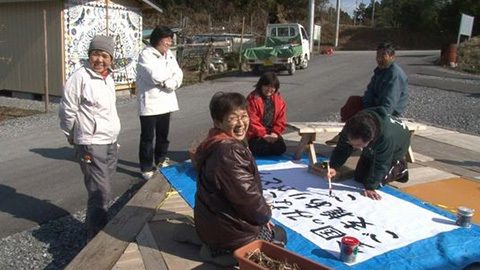 In the aftermath of the 2011 disaster, the villagers' strong, time-honored bonds with each other made survival possible. The next step toward recovery is to determine where they will live after vacating temporary housing. The government is considering mass residential projects. However, villagers are concerned that their way of life, and their connections to one another, may be lost. The program shows their commitment to restoring the place they call home.